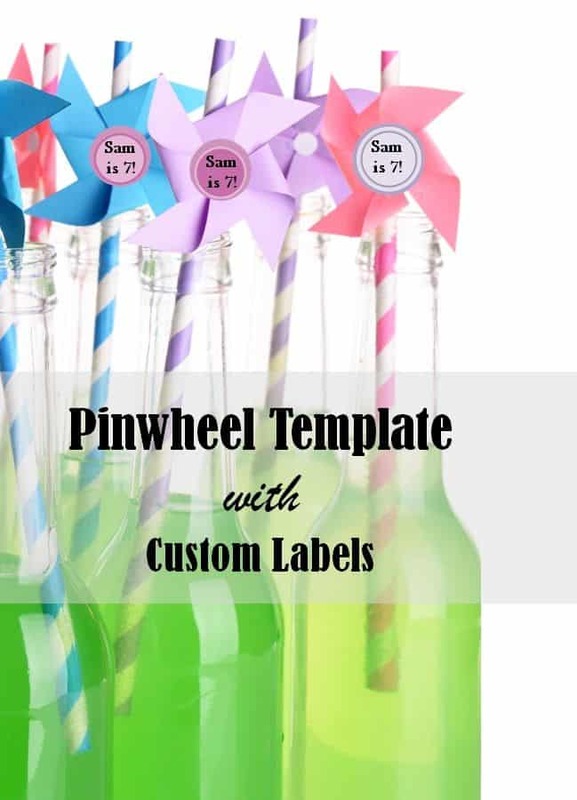 This pinwheel template can be used as is or it can be customized to add your own text. A printer if you want to print the template. You can also just copy it if you prefer not to print the template. If you want your pinwheel to have two colors then use two pieces of paper. If not, one piece will be enough. 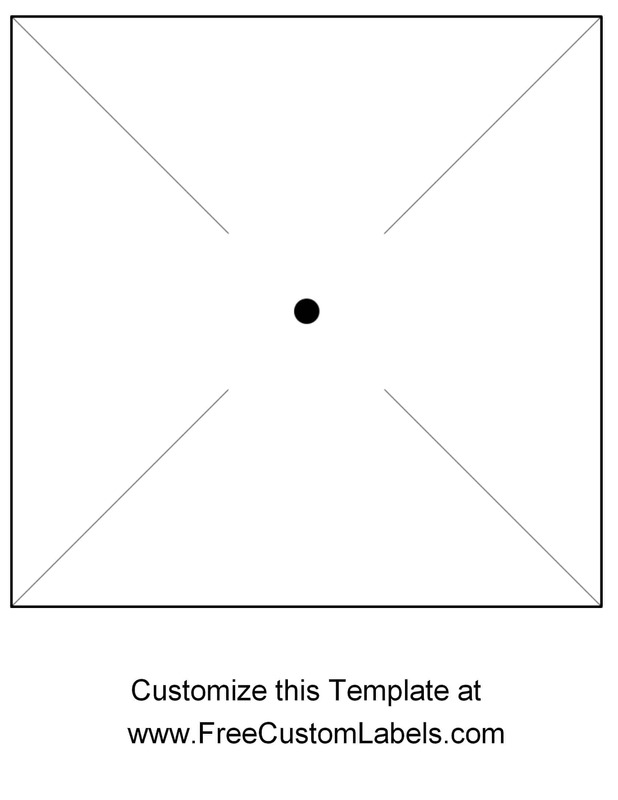 Print the pinwheel template. If you want to add your own text then print the custom template. If you are using two pieces of paper (to create two colors) then print two templates and cut them both out. Glue each square together back to back. Cut along all four diagonal lines. Bring each corner to the center. Poke a hole with a brass pin and insert the pin at the center. If you want to put the pin wheel on a stick then push the end of the brass pin into a pencil’s eraser. Cut out a little circle to stick on the pin to make it look prettier (optional) or create a round custom label with your own text. What can the pinwheels be used for? 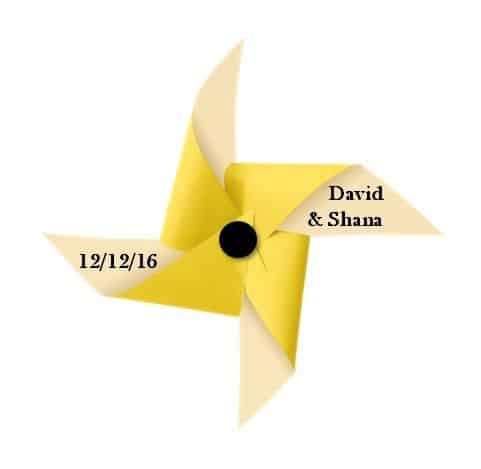 Make big pinwheels with the names of the bride and groom. You can create them out of cardstock and put them along the path to the entrance. You can also make wedding favors with the names and the date. Make a pinwheel for each seat and give them to guests to let them know which table they will be seated at. Add your corporate name instead of the text. Click on “add image” to add a logo under the text. Use water-resistant paper or a flexible plastic sheet to create colorful pinwheels to decorate your yard. Stick a pinwheel on a stick in a cupcake to make cute cupcake toppers.